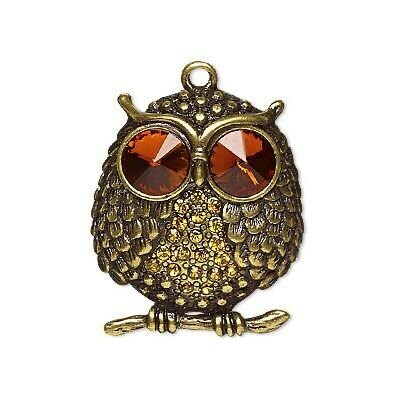 Large owl pendant, rhinestone and antiqued brass, orange rhinestone eyes, golden yellow rhinestone chest, brass feathers and branch, 38x33mm . 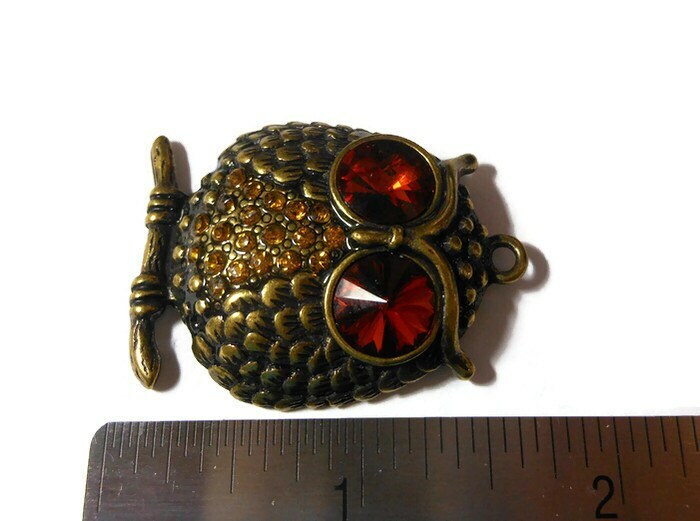 Would make a great necklace for owl, animal, bird lovers! 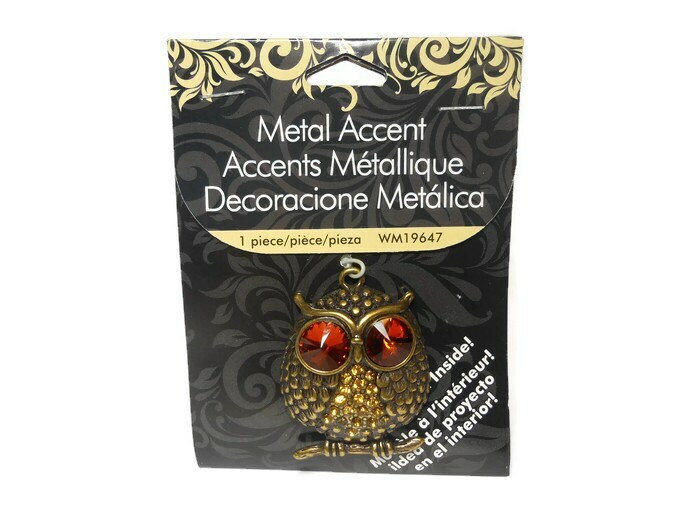 Brass finished pewter focal figural in package with project ideas inside.